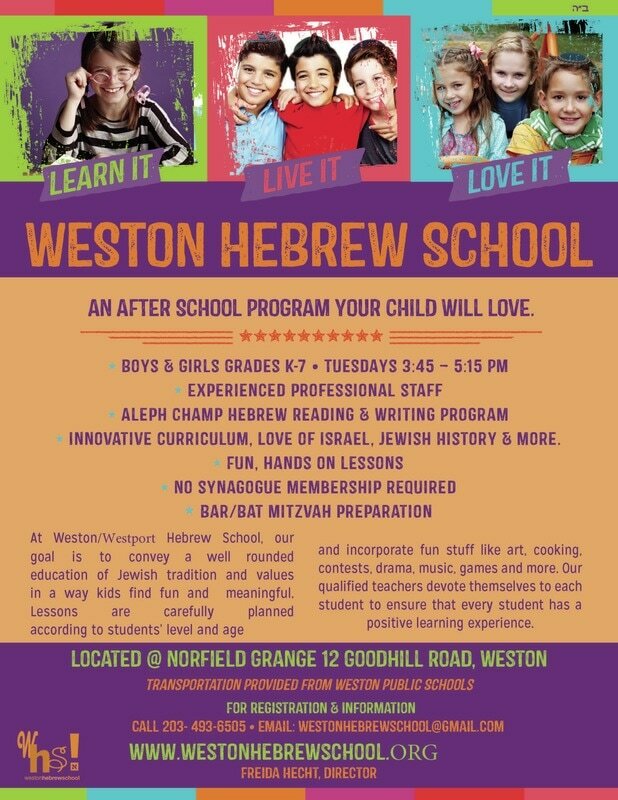 Welcome to Weston/Westport Hebrew School, an exciting and innovative educational program located in the heart of Weston, at the Norfield Grange 12 Good Hill Road. Our School enjoys a well-earned reputation as a trend setter in creative Jewish education for children in Kindergarten through grade 7 and an outstanding Bar/Bat Mitzvah Program to prepare you child for their special day. Weston Hebrew School has exciting new programs, a dynamic staff and interested students. Our student body is made up of children from various backgrounds and affiliations. Synagogue membership is not required.